If you are thinking about surrendering your Golden Retriever, please contact us at 402-330-6680. We have all the information you need to determine if adopting a rescued Golden Retriever is right for you. What's happening in GRRIN? Make sure to read about all of our upcoming events. 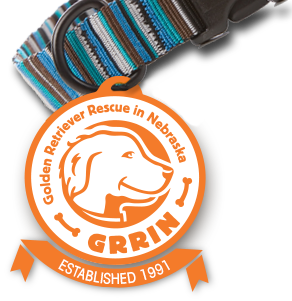 There are many ways to support GRRIN! We rely upon the generosity of our members, volunteers and all who donate to continue our mission of rescuing Goldens.